Cosmic indicators do not promise utopian results. Like the ancients, each of us must heed the passage of time in the Solar, Lunar, and planetary rhythms, answer to their stipulations, and thereby cultivate their rewards. In this way one becomes the sower of one’s own destiny and the reaper of life’s promise. At the edge of the world, where Earth and sky meet, the Olympian gods created a garden with orchards of miraculous fruit trees. Guarded by maidens known as the Hesperides (“Daughters of Evening”), the garden is a passage to a celestial realm where beauty and song gladden heroic sojourners. Likewise, the season of Taurus celebrates the victory of life emerging from winter’s quiescence following the Spring Equinox, and sets the stage for nature’s proliferation in the coming months. In the garden of the Hesperides, the golden apples of immortality were given to those who ventured as far west as the setting Sun, an allusion to the rewards awaiting the virtuous at the gates of the afterlife. It is the endowment of the soul that ventures past the comforts of mundane existence and seeks the fruit of a mythical tree in that garden – the one that offers knowledge of good and evil. 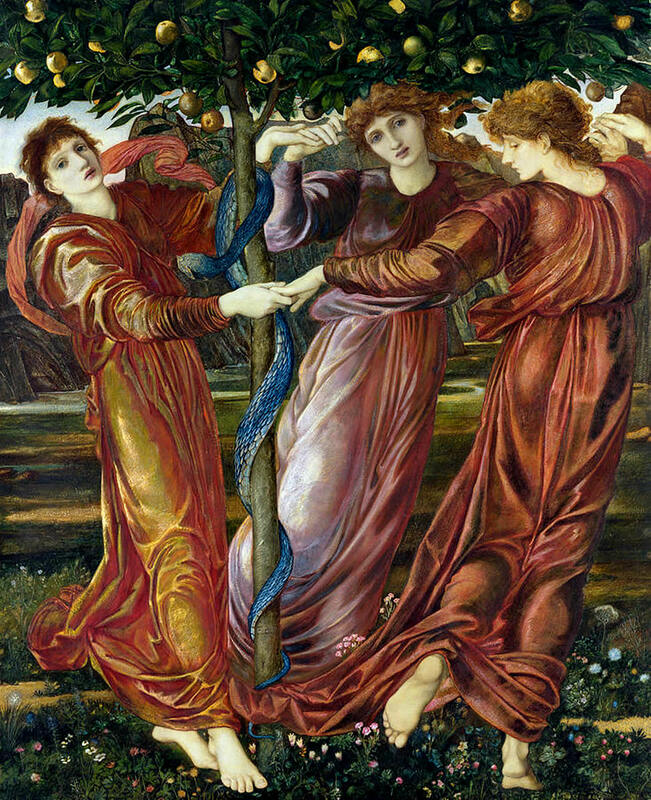 And here another obstacle exists – the tree of golden apples is also the abode of the dragon Ladon, who must be slain or transformed by the hero/ine before immortality can be obtained. The tree, its fruit, and the dragon represent the both the lure and the dangers of mortal life. In the season of Taurus, we may become complacent with the return of Spring and the warmth of nature that revitalizes the living, but heroic acts await us each and every day. Problems must be resolved, threats must be transformed into accord. These are acts that transcend time and create the miraculous fruit of harmony and celestial song – the reward of virtue. 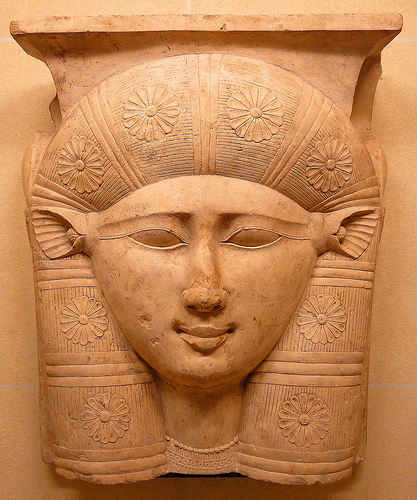 In the Egyptian pantheon, Hathor embodies all faces in the celestial theme of Taurus. For those on Earth, she is the flourishing aspect of nature and the fecundity of the land, symbolized by the heavenly cow who nurtures the royal calf. She is lady of song, music and dance, the confidant of lovers and patroness of marriage. And in her magical aspect, Hathor is the serpent power of the Royal House, guardian of the anointed and protectoress of the divine estate. 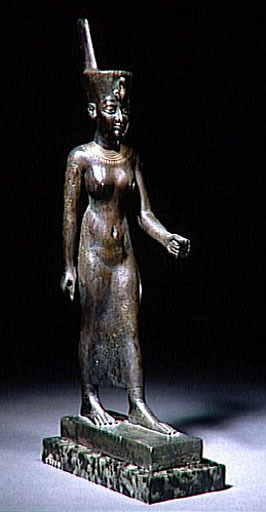 I raise up the lady of heaven and give adoration to Hathor. I reported to her and she heard my pleas. She summoned a Mistress for me, who came into my presence. What a great thing has happened! In her Chthonic role, Hathor engenders proliferation of the life force, overseeing rebirth, renewal, and enduring vitality. She serves as companion to the sojourner who enters the Afterlife from the eastern region of the living to the western realm of the dead. Greeting the soul from her celestial sycamore tree, she offers water to refresh the traveler. The Sun enters Taurus on April 20th at 4:55 am with Neptune on the horizon at the U.S. capitol. This will encourage deceptions and promote a great deal of confusion and contrariness. Jupiter in his natural Ninth House and Sign of Sagittarius promises judicial integrity, but he is retrograde until August 13th. By then, the proper course to address deceptive acts and conditions will become evident. Venus and Mercury also rise, bringing scrutiny to issues of youth and education, while Uranus in the Second House imposes a shock to economic stability. The New Moon takes place on May 4th at 6:46 pm (14º Taurus 11’) with the Lunation positioned in the Seventh House of Adversaries along with turbulent Uranus. A new conflict arises that involves one U.S. ally but draws the attention and resources of several international bodies. Expeditious action may quell the dissention before serious harm unfolds. The Full Moon takes place on May 18th at 5:11 pm (27º Scorpio 39’), with the Sun-Moon opposition straddling the Second and Eighth Houses of Finance and Long-Term Investment. This brings attention to ongoing problems of taxation and income inequalities that will lead to new initiatives. However, adverse conditions affecting transportation will come to light and demand more immediate resolution. Pluto turns to retrograde motion on April 24th (23º Capricorn 09’), launching an important period of revision and renewal that peaks through October 3rd, when the power of trasformation turns direct. With Pluto currently standing on the ecliptic (path of the Sun and planets) for the first time since the 1930’s, we are at a crisis point to reverse the critical divisions (race, religion, gender, cultural, class distinctions) that have been in place since then. Pluto has more visibility now, and not coincidentally, our unresolved differences come to the surface and now call attention to the work that we as a collectivity must complete. Saturn turns to retrograde motion on April 29th (20º Capricorn 31’), allowing us to temporarily retreat from confrontations or revisit formerly unresolved issues with clarity. Now is the time to re-examine previous assumptions and look deeper into motives. By the time Saturn turns to direct motion (September 18th), far more will come to light that has been in darkness and rules of law, decorum, and fairness will proceed with less resistance. In the season of Aries the sleep of winter is awakened by the fire of life. At this time, the pulse of nature once more seeks form in the soil of mortal existence. It is the time of the Vernal (Latin vernalis, “of the spring”) Equinox (equi nox, “equal night”) the first of two events in the Earth’s annual circuit around the Sun when the terrestrial axis is upright, when night and day hours are of equal length. The Sun now begins to move northward on the horizon in concert with the alchemy of fire and soil that is taking place. It is a restatement of the primeval creation and a reminder of the creative powers endowed to all the living who move toward the summit of their own enlightenment, personal and collective. The lord of the season has always been embodied in Ares – warrior, defender, master of combat and discord. It may be that these roles are more widely celebrated because we exist in a culture that values the conquerer over the conciliator, but the theme of Ares encompasses the heroic and gallant champion, and in the mystery traditions, the slain god who is redeemed by his sacrifice and reborn in the season of renewal. Once such deity is the Graeco-Syrian god of vegetation and renewal, Adonis. His mysteries enacted the god’s death by a wild boar – a metaphor of the untamed forces in nature – and his restoration through the planting of his gardens by the mourning daughters of Aphrodite. In this tradition, the fiery pulse of nature is channeled into the measured rhythms of agriculture and cycles of renewal. Deities in the realm of Ares also possess the powers of mediation and diplomacy, traits that emerge actively in Libra, the opposing season of Aries in the Solar year. 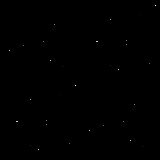 They represent the civilizing powers of the creative force that strive for order, balance, and justice. 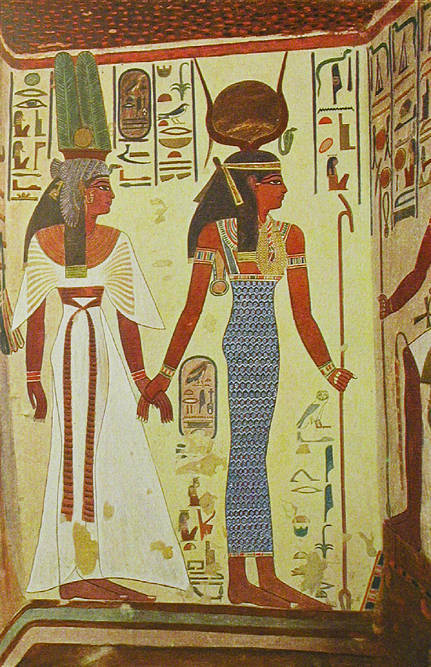 The Egyptian Neit serves as mediator among the gods, resolving questions of sovereignty and intervening during the ubiquitous episodes of hostility between Horus and Set. She is judge, arbiter, and peacemaker between divinity and humanity, even banishing discord from the bodies and souls of her supplicants in her role as physician and healer. 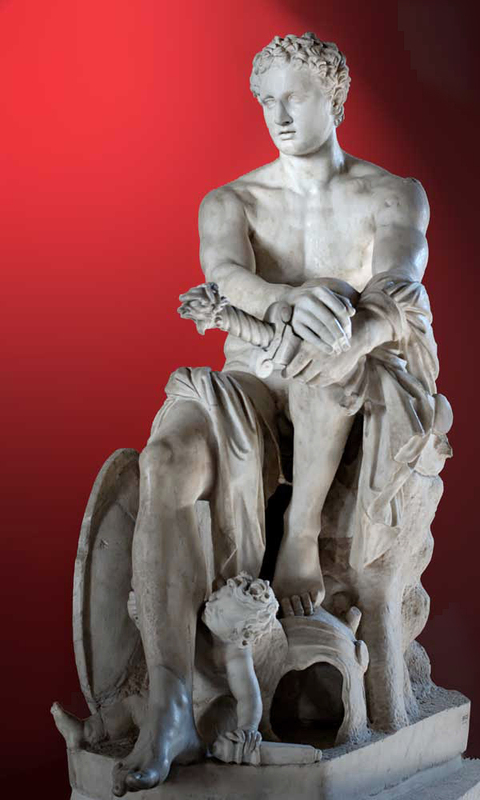 The Greek Athena holds sway over the arts of war – strategy, weaponry, and treaties. Sister to Ares and a member of the twelve divine Olympians who govern the twelve Solar seasons, she is patroness of Athens and inventor of the chariot and plow, mechanical devices and protective armor. She embodies the intellectual dimension of combat – tactical skill, defensive action, negotiation. In the realm of Athena, all sides win and harmony is achieved. The Sun enters Aries on March 20th at 5:59 pm. Hours later, the Equinox is followed by the first of two Libra Full Moons in a lunar month. Spring will rush forward with this renewed energy, tasks put off will now find the time and diligence to be completed. Neptune setting in the West at the U.S. capitol discloses buried deceptions that are now exposed to the light, while Mars in the House of the Judiciary wages a battle supported by established rules and the tenacity of tradition. 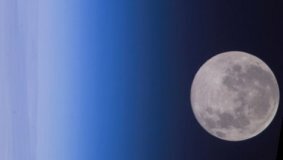 On March 20th at 9:43 pm (0º Libra 09’) the first Libra Full Moon takes place this year, to be followed on April 19th by the second Libra Full Moon (29º Libra 07’), also known as a “Blue Moon.” These two events in the sign of Justice signal a period of intense international negotiations, with rare compromises affecting global commerce and trade. Domestically, forward action will dominate government investigations and some long-awaited decisions will be forthcoming. New legal issues affecting the executive branch will provoke dismay in the public sphere. Mercury turns to direct motion on March 28th at 9:59 am (16º Pisces 06’) in exact conjunction to Neptune. Here, truth seeks exposure and may fraud come to the surface. Confusion may reign for a day, but when reports are verified, acceptance and resolution are found. Forgiveness and a spiritual approach is called for at this time. The New Moon takes place on April 5th at 4:50 am (15º Aries 17’) with Mercury finally departing from his confusing conjunction with Neptune, clarity! Mars in the lower hemisphere causes atmospheric incidents and additional concerns with air travel. Aquarius rising invites idealistic talk on economic and judicial issues, while prominent women gain public assent. Uranus is the planet to watch this year. On January 6th it turned to direct motion and ceased brushing back and forth at the border between Aries and Taurus. Uranus now transits Taurus until April 26, 2026 and in doing so, restrains the impulsive, reactive influences that have dominated the last seven years in culture and government. Economics and politics will strive for stability and authenticity, matters of the environment will take precedence. At the same time, science and medicine will progress at a rapid pace, with breakthroughs in genetics and disease control. Poseidon (Roman: Neptune), brother of Hades in the underworld and Demeter in the fertile soil, commands both water and wind, flood and storm. 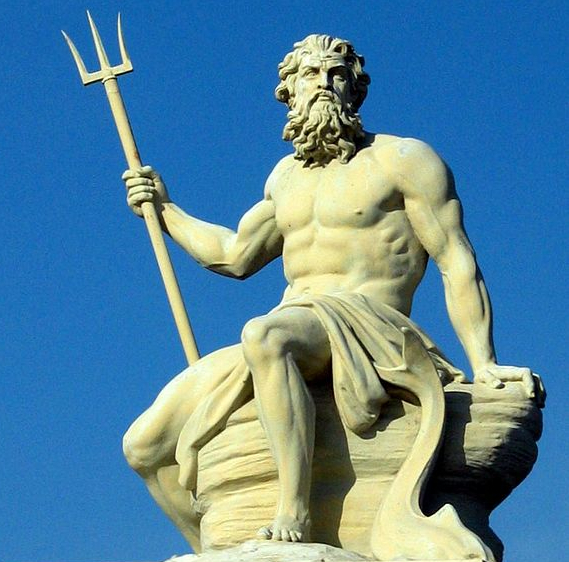 His three-pronged trident represents his power over the waters and the creatures within them – with it he calms the stormy seas and brings forth hurricanes. When wielding his weapon, he pierces the earth and causes springs to come forth, but he may also strike the ground to compel earthquakes. Beneficence and anger, tranquility and turmoil – the lord of waters shows us the powers and dangers of our internal sea, the vast ocean of our unconscious impulses. In the passage through Pisces, all past seasons dissolve in the brine of Poseidon’s kingdom, awaiting renewal in a new cycle when our aspirations and efforts emerge rejuvenated and reanimated with the powers of the coming Spring. It is the phase of awakening from the hibernation of Winter, a transition from the incubation of dreams into the world of new life. In Pisces, the tides of our internal sea move toward the shore of renewal. Ancient legend tells of the time of the demigods, when Typhon, lord of chaos, sought to overturn the beneficent rule of Zeus by capturing and holding hostage the Olympian deities, Aphrodite and her son Eros. To escape discovery, the two hid in the waters of the Nile and transformed into fish. Their feat was commemorated in the heavens with the stellar image of the Ichthyes (twin fish), to keep the influence of Typhon forever at bay. The northern fish swims upward, toward the cosmic waters of forgetfulness; the southern fish swims westward, toward the constellation Aquarius and the waterbearer’s waves of enlightenment. At the same time the Ichthyes are tied together, representing the eternal quest that draws the soul toward these dual destinations and the dilemmas of spiritual desire. 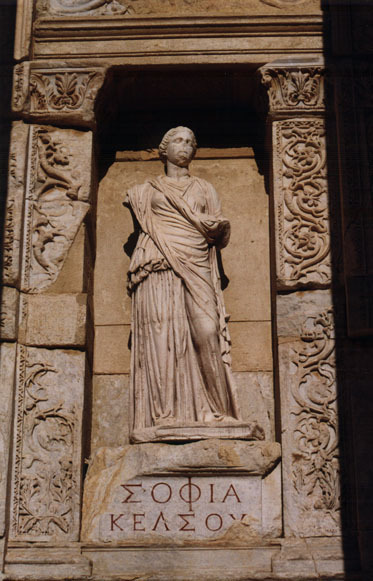 March 1st is a day sacred to the the Roman Juno Lucina (Greek: Hera), guardian of women in childbirth. It was celebrated in ancient times as the festival of Matronalia, when women would unbind their hair and remove all knotted clothing, to dispel any hinderings of a safe childbirth. For husbands, it was customary to bring offerings to the temples for the well being of their wives and children. March 8th is International Women’s Day, founded and organized by the United Nations. The 2019 theme is "#BalanceforBetter," meaning that we strive to build a gender-balanced world. Though not widely observed in the United States but celebrated in most other nations, this day reminds us to work for those in our lives – mothers, wives, girlfriends, daughters, colleagues – to pursue their callings in an unbiased environment, so they may enrich the communities that hold them dear. Appropriate rituals at this time include offering bowls of water at the family shrine to quench your thirst for security and solidarity among the shared blood. Daily ablutions are performed in anticipation of the coming Spring, and sacred baths sprinkled with lotus and lily will evoke dream and vision states. 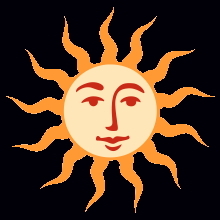 The Sun enters Pisces on February 18th at 6:04 pm. As the Sun sets in the nation’s capitol, Mercury conjoins Neptune, the Piscean lord of illusions. This portends a cycle of new deceptions, though Mercury’s position on the horizon reveals the source. Jupiter is his own domain signifies economic growth on the domestic scene. Severe geological conditions are indicated for the southwestern region of the country. The Full Moon takes place on February 19th at 10:54 am (0º Virgo 42’). This is the second “Supermoon” of the year, as the Moon is perigee (closest to Earth). The tidal peak will affect more than geologic and oceanic disruptions – emotions run high as thought processes are subject to extreme reactions. Now is a time to reflect before decision-making. This Full Moon also features cuspal signatures – Sun and Moon at 0º of Pisces-Virgo, rising Sign of 0º Gemini at the nation’s capitol. This points to transitions and new beginnings for those in newly-acquired roles of power. The New Moon occurs on March 6th at 11:48 am (15º Pisces 47’) with the Lunation at the Midheaven and closely joined to deceptive Neptune. Conditions in the executive branch of government will disclose serious conditions that are known but too weighty and convoluted to find easy resolution. A champion appears and some ideals are fulfilled. Mercury turns to retrograde motion on March 5th at 1:19 pm (29º Pisces 39’). The last degree of every Sign signifies completion, but with Mercury turning back at this point, much unfinished business will remain unresolved until the end of the month. Mercury’s position at the Midheaven in Washington D.C. also heralds a far-reaching influence of delays and the necessity to revisit past decisions made in haste throughout the government. The wine to Jove, and ever dwell with them. 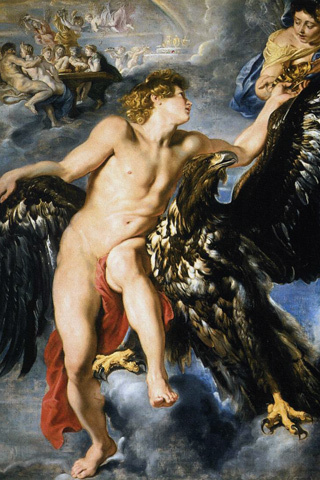 Ganymede, a Trojan prince, was viewed by the Olympian gods as the most attractive among mortals. But with this admiration came notice from Zeus himself, who sought the young man to serve as cup bearer to the celestial powers. Taking the form of an eagle, Zeus swooped down from the heavens and abducted Ganymede, who became an immortal but also a servant to the gods. His image is embodied in the constellation Aquarius, and is accompanied by the eagle constellation Aquila. This ancient story tells of the obligation human beings have when they seek to become “godlike.” The individual ego is subsumed by divine will, and those powers hold greater sway over mortal destiny than the petty aspirations of the individual. A lesson to be well understood by those who strive for the ethereal heights! But the Aquarian motif also alludes to a cosmic secret – the gods seek our service as much we we seek their counsel. The exchange of powers – human and divine – becomes possible when each recognizes the needs of the other. It is the ancient art of theurgia that uncovers this secret, a sacred tradition that is unlocked with the words and gestures of ritual power. In this way, the server is given a true place in the heavens and is served by the powers s/he has honored. The initial great goddess ceremony of the year in the Celtic tradition is Imbolc, a name derived from the term for “sheep's milk.” Hence, it is a festival welcoming the birth and first cleansing of newborn lambs. On February 2nd it is celebrated as Candlemas or Brighid's Day, named for the patroness of light. Imbolc is the first of four cross-quarter (falling between a solstice and an equinox) festivals of the pagan year. Though traditionally a time given to predicting if winter will linger (a precursor to Groundhog Day), it is a spiritual doorway that promotes divination. Purification of the hearth and lighting of candles are rituals enacted at this time to hasten the return of light. 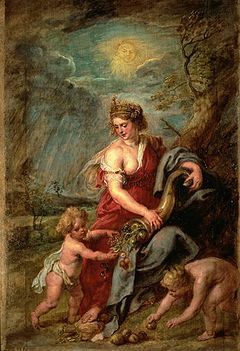 Also associated with this season are virgin deities and child goddesses (Ireland: St. Kinnia and Nepal: Kumari), and gods as young men (Greek: Ganymede, abducted by Zeus and placed in the heavens as Aquarius). Appropriate rituals for this season include the passing of fire from hearth to lamp (Roman: Vesta), invocations to the divinities of learning and record keeping (Egyptian: Ma’at and Seshat), healing rites that convey sustenance (Greek: Hygieia and Hindu: Parvati), and clothing sacred images (Greek: Athena and Egyptian Taiyet). Offerings include candles, butter, cheese, and linen. On February 8th the Hari No Kuyo is celebrated in Japan, a women’s day of rest and recreation. This Shinto festival, also known as the Festival of Broken Needles, puts to rest the worn and broken tools of the homemaker and honors the oft-overlooked daily work of the seamstress and tailor. For despite the sorrows and sacrifices of these laborers, weaving and sewing convey the tremendous power of healing (mending) to its practitioners and recipients. The Sun enters Aquarius on on January 20th at 4:00 am, with Venus and Jupiter rising together at the U.S. capitol. This bodes well for amicability and cooperation, though the fire of Sagittarius conveys flare-ups before resolution. The Aquarius season encourages mutual understanding, but the force of habit imposed by Mercury, Saturn, and Pluto in tenacious Capricorn will continue to hinder progress. The Full Moon takes place on January 21st at 12:16 am (0º Leo 52’), bringing a total Lunar Eclipse (aka “Blood Moon” because of its red-hued appearance). It features a duration of 1 hour, 02 minutes, equaling an influence of one year, 12 days. This event is also a Supermoon (closest to Earth) that could impose a period of emotional strife in certain quarters if impulsive action is taken. Thoughtful analysis and planning will prevent protracted setbacks. This is the Last total Lunar eclipse until May 2021. The New Moon occurs on February 4th at 4:04 pm (15º Aquarius 45’) with Mars and Uranus culminating at the Midheaven in the U.S. capitol. This portends a period of conflict and threats from several adversaries in the northern hemisphere. Caution and restraint are called for, as volatility is heightened. Women move to the forefront as mediators, and the concerns of youth become the focus of attention. This New Moon launches the Oriental Year of the Brown Earth Boar (Yin: internal, intuitive, nurturing). It denotes a year of economic stabilization with some material growth, along with the increase of dialogue and mutual understanding in collective endeavors. Family and education issues are prominent this Lunar year. 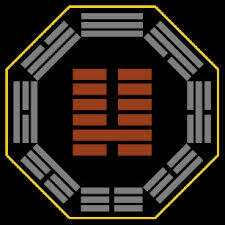 The hexagram for the year is #7, Shih (Army). It guides us to the development of a strategic plan, the use of discipline and organization to reach goals. We approach the fourth transition in the year, when light is diminished and darkness prevails over the season. We have welcomed the ascent of light in the Spring, celebrated its culmination in the Summer, and honored its senescence in the Fall. We now move toward the time of inward enlightenment, when light hibernates in the womb of darkness as we await validation of its return in the coming months. The Winter Solstice the shortest day of the year, when the Sun is seen at its most southerly point in the sky (in the northern hemisphere). Cultures past and present have universally regarded this moment as a time of rest, peace with the powers of nature, and fellowship with society. It is the first day that marks the beginning of many winter festivals. 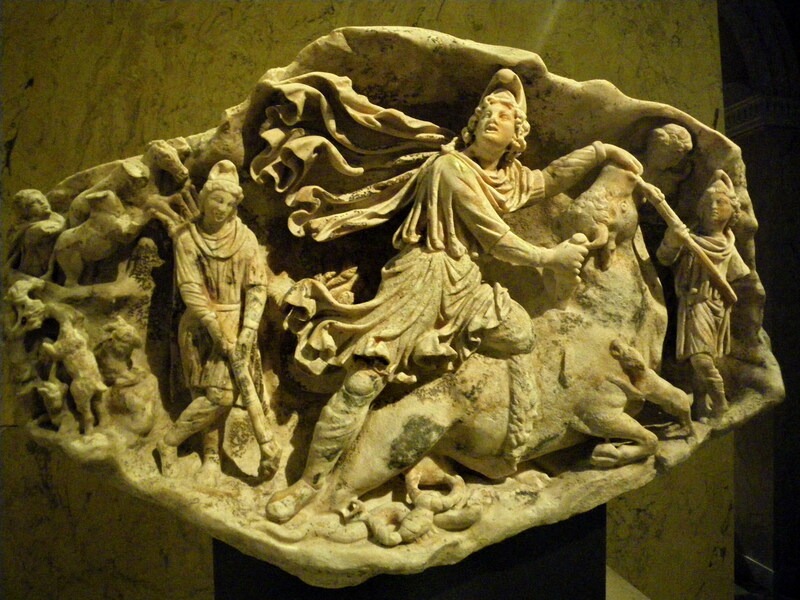 In late antiquity, the solstice marked the birth of Mithras, god of light. His mysteries, borrowed from ancient Persia, were initially honored by Roman soldiers and extended into society with a graduated series of secret initiations performed in underground temples. The day of his virgin birth was known as Dies Natalis Solis Invicti, “birthday of the unconquered Sun.” He is depicted slaying the bull of the Taurean Age to signify the inception of the Arian Age. The Solstice is honored by the Hopi and Zuni native Americans with the Soyalangwul, a dance performed to ceremonially bring the Sun back from its winter slumber. Kachina spirits return to the world at this time, and the Awehai Kachina (“fertile goddess”) is said to accompany the dancers through the night to Sunrise. For the Germanic peoples, the solstice was celebrated from the 4th Century, when it took place in the month of Fuma Jiuleis. Later in Anglo-Saxon England it was known as Giuli, corresponding to our December-January calendar and the season of Capricorn. For the Druids, it was Alban Arthuan (“Light of Arthur”) a festival when gifts were bestowed on the less fortunate. King Arthur was believed to have been born on the Winter Solstice in Castle Tintagel in Cornwall. December 15th marks the beginning of the Halcyon (“happy, carefree”) Days, traditionally counted from seven days before and seven days after the Winter Solstice, beginning on December 14th and lasting until the end of the month. This period is named for Alcyone, one of the stars in the Pleiades and legendary wife of king Ceyx of Thessaly, who threw herself into the sea to join her drowned husband. The gods turned them into kingfisher birds who brood their eggs on a floating nest in the calm winter sea waters. Her festival honors the tranquility of the season that we must recognize and foster in our own lives. The Festival of Sophia (Greek: “wisdom,” Latin: Sapientia) is celebrated on December 16th, honoring the goddess of knowledge and learning, known to the Gnostics as “the soul of the world.” She is associated with the wise King Solomon of the Old Testament, and venerated by the Eastern Orthodox Christians. Her image has prevailed as a source of divine intelligence throughout the ages, and inspires us to support the scholarship and achievement of women everywhere. The Saturnalia, a Roman carnival of extravagance, was held on December 17th. Celebrants visited friends and gave gifts on Feriae Publicae (public holidays) to honor Saturn, god of sowing. But it also instituted the holiday custom of reversing roles, from master to servant and vice versa. Members of a familia (including slaves) would gamble for the appointment of Saturnalicius princeps, the “Lord of Misrule” for the day. The Opalia, Roman festival of Opis, was held on December 19th. Mother of Saturn and goddess of the plentiful Earth, she is patroness of sowers, bringing help to the harvester and abundance to the planter. May the powers of this deity soon bring us opulence! December 20th is the Norse Night of Helya (“the mother”), a time said to evoke prophetic dreams. At this feast children are placed under the protection of the goddess, who takes the form of ancestors or elder female relatives. This is also the celebration of Midwinter Eve, which brings the tradition of censing the home with Sage and Cedar, and the hanging of Holly boughs, Pine wreaths, and Mistletoe. A ritual herbal bath should be undertaken at this time, to clothe the body with scents of the season. 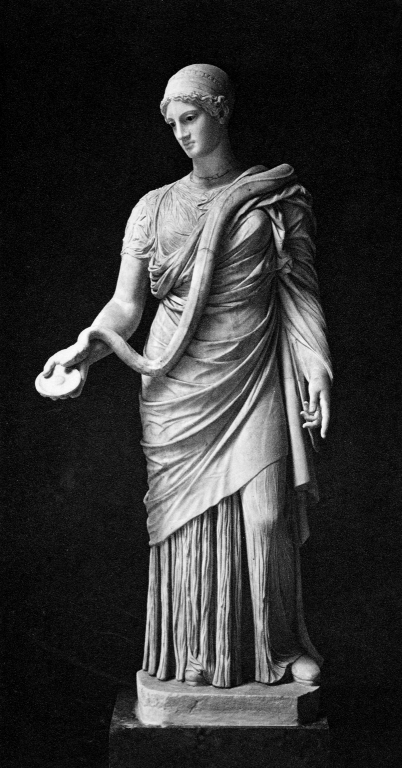 December 21st is the Roman festival of Angeronalia, honoring Angerona, goddess of the Winter Solstice, “she who helps the Sun travel through the darkness of the season.” Her statue was found in the Sacellum Volupiae (shrine of Voluptas, goddess of pleasure), near one of the most ancient gates of Rome on Palatine Hill. The Sun enters Capricorn on December 21st at 5:23 pm with Mars at the Midheaven in the U.S. capitol, an ominous indicator that conflict will dominate the season. The Solstice Moon is sequestered in the 12th House of captivity, allowing few avenues for demonstrating the hopes and dreams of the season. Saturn and Pluto in the 7th House of alliances emphasize a gridlock of wills and open danger from autocratic forces. Despite these warnings, the conjunction of Mercury and Jupiter promise fruitful discussions that eventually will provide better than expected outcomes. The Full Moon takes place on December 22nd at 12:49 pm (0º Cancer 49’) with Saturn at the Midheaven, following a contentious ingress that initially denied harmony. 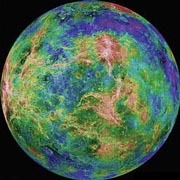 Now, Venus enters the 7th House of alliances to soothe strained circumstances, indicating that diplomatic women will best conduct the business of the day. The Sun in the 9th House points to beneficial leadership arising from the judicial realm. The New Moon takes place on January 5th at 8:28 pm (15º Capricorn 25’), a partial Solar eclipse that draws together Mercury, Saturn, and Pluto with the Lunation. This powerful Stellium signals a new process that will unfold in the coming months, but not without conflict and resistance as Mars forms a contentious square to the planetary group. Unwelcome surprises are indicated from the judicial sphere to those who have not served 6th House institutional and 7th House public interests. 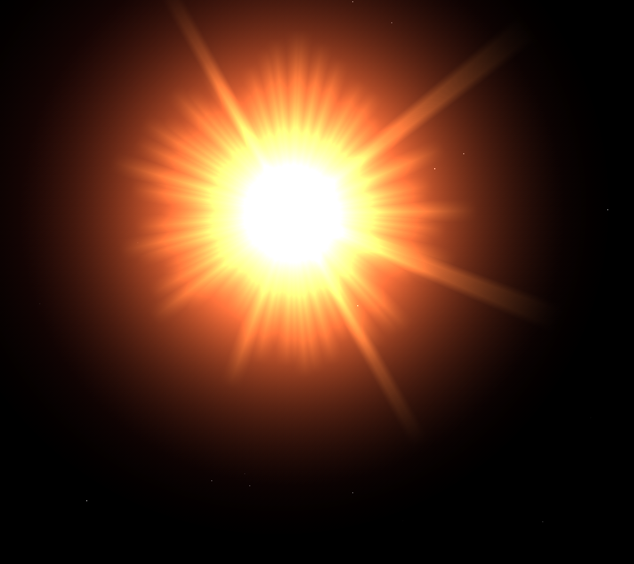 The Sun reaches perihelion on January 3rd at 12:34 am, an annual event that brings our planet closest to our local star and the center of our conscious being. It is a time to revere the source of life as each of us perceives it, and remember that whatever the season, the power of our Sun’s light unites us with the source of creation. Uranus turns to direct motion on Jan 06, 2019 at 3:26 pm (28º Aries 36’), allowing a more objective view and less obfuscation of collective issues. Innovation in science and technology will proceed with less restriction as new laws and material support are forthcoming. For individuals, decisions to lessen personal restrictions can go forward with less resistance.